The transverse abdominis (TrA) muscle is the deepest of the four muscle groups that make up the abdominals. The muscle acts like a girdle and plays an important role in spinal stability. It's also theorized that dysfunction and poor recruitment of the TrA may contribute to low back pain, though the research is still limited. Many exercises are effective in strengthening this muscle. A 2004 EMG study published in the Journal of Manual Therapy showed that abdominal hollowing effectively recruits the TrA muscle. Perform the move by lying on your back and drawing in your lower abdomen below your navel. Avoid moving the back, pelvis or upper abdomen -- all the while continuing to breathe. Many common abdominal exercises don't specifically target the TrA. However, you can increase the activation of this muscle by hollowing your abdomen and maintaining this position while doing other ab exercises. Begin this exercise on your stomach. After hollowing your abdomen, lift your body up onto your elbows and toes. Do not allow your back or pelvis to tilt as you plank. In addition, your spine should remain flat and your buttocks should stay in line with your body. After holding this position for 5-10 seconds, slowly lower back to the ground. 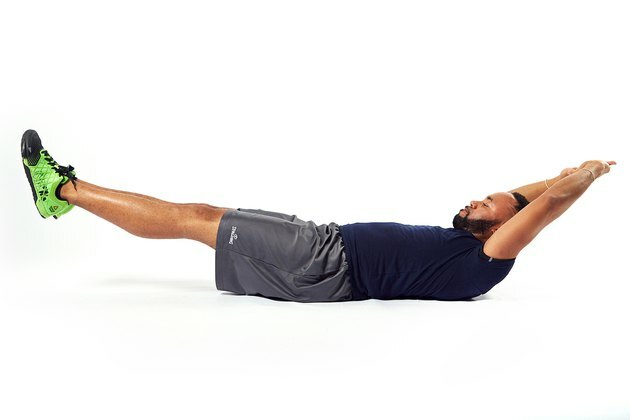 Perform this exercise while lying on your back with your knees bent. After drawing in the lower abs, straighten one leg and hold it about 4 inches off the ground. Raise the opposite arm above your head. Complete this without holding your breath or losing the abdominal hollowing. 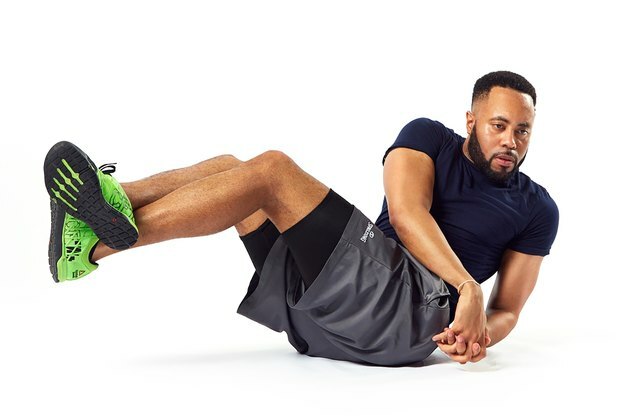 Hold the leg in this position for 1 to 2 seconds and then slowly return it to the starting position before repeating the movement with the opposite leg. Complete this exercise by lying on your back with your knees bent. After hollowing your abdomen, lift your buttocks off the ground. It is important to continue breathing throughout the exercise. After holding the position in the air for 1 to 2 seconds, slowly lower your buttocks back to the ground. 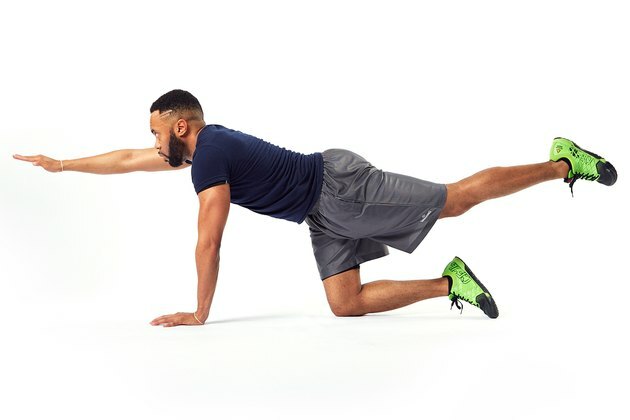 Do this exercise, also known as the bird dog, on your hands and knees. After hollowing the abdomen, slowly lift one arm and the opposite leg into the air. The back and pelvis should not tilt as you move your limbs. After holding this position for one to two seconds, return the arm and leg to the starting position and repeat with the alternate arm and leg. To do a Russian twist, start seated. Raise your feet several inches off the ground and lean back slightly. Twist from side to side, keeping your core tight. Your aim should be to hit your knuckles to the floor on each side with each rep. In order to improve the muscular endurance of the transverse abdominis muscle, perform two to four sets of 15 to 20 repetitions of each of these exercises two to three times per week. None of the exercises should be painful to perform; consult a medical professional with any questions or concerns prior to beginning any exercise regimen.